The Chairman, Board of Trustees of the Actors' Guild of Nigeria (AGN), Prince Ifeanyi Dike, has said that it is only God that can restore peace in the guild. Commenting on the leadership crisis that has been rocking the guild, Dike said human efforts have been made to reconcile the warring leaders of AGN, Ejike Asiegbu and Steve Ebu, otherwise known as Ajebo. Ejike is the National President of the guild, while Ajebo is the Vice-President, South-East. Both of them have been at loggerheads following Ejike's refusal to vacate office, two years after the end of his tenure. Although the case is currently in court, Ifeanyi Dike is of the opinion that it is only God's intervention that can bring the crisis under control. “A lot of efforts have been made to settle this matter but it is unfortunate that it still persists. I'm only hoping on God to bring peace back to the guild,” Dike said. A peace-meeting was called between the warning parties a few weeks back, but nothing positive could be achieved as the ill-tempered Ejike pounced on Ajebo and beat him to a pulp. It took the intervention of policemen from Bode Thomas Police Division to restore decorum. 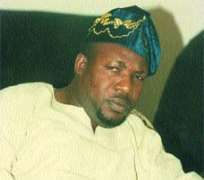 Asiegbu was arrested and later released on self recognition.